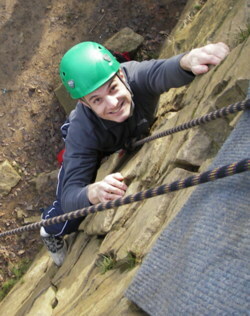 To get you (with our help) up a climb either on a natural rock face, purpose built climbing wall or in a quarry. We have many venues throughout the North West of England, mainly in Lancashire and the Lake District. 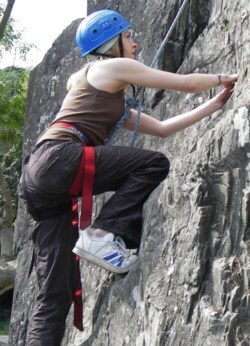 Also available are climbing walls indoor or moble climbing walls indoor or outdoor. The weather would need to be really bad to stop the climbing session.